Sometimes my husband and I will ponder over the road that eventually landed us in the small Pennsylvania town that is now our home. We have lived in larger more metropolitan cities where it often seemed as though there was a ton of stuff to do…more exciting and much more fun. But we have learned to love where we are and to appreciate its nearness to Baltimore and Philadelphia and New York…close to beaches, too. And we have learned to love its lovely yet amazing restaurants. For the last few years we have had New Year’s Eve dinner at one of our most favorite places…The Orchard. 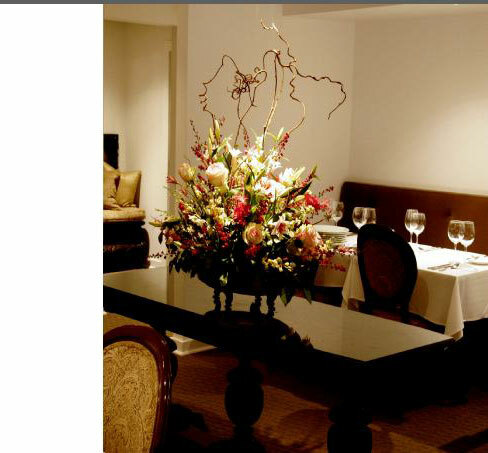 It is owned and lovingly run by Chef Gary Trevisani…a gentle and amazing chef. Chef Trevisani makes the most beautiful and delicious food ever. There is not a doubt in our minds about that. His food is delicate to look at…each presentation is totally delightful. And each bite is such a total “to die for” moment that you literally don’t want dinner to end. That is not quite true, actually, I almost forgot about Chef Trevisani’s dessert presentations. They are the ultimate end to a wonderful dinner. We have attended a wine dinner at The Orchard that was quite fantastic. Chef Travisani brought in a vineyard owner from a small town in Italy. This wine maker was using vines that his grandfather had planted. His wines were totally organic and fabulous and Chef Trevisani planned an entire course filled dinner around these various wines. It was a wonderful experience. I know Chef Trevisani is planning more events similar to this one and we can’t wait to attend. We learned this from chatting with Chef Trevisani on New Year’s Eve. In spite of being incredibly busy he takes time to visit with each of his diners and ask us how we are. He even sent me home with a bag of cookies!!! I can’t believe I almost forgot to say that The Orchard is a BYOB…lots of restaurants here are. So you can bring in your own martinis if you wish and a great bottle of wine. We love this aspect of the restaurant, too. Most of our friends ( and us, too ) acquire great wine bags…to tote our bottles to our restaurants in. 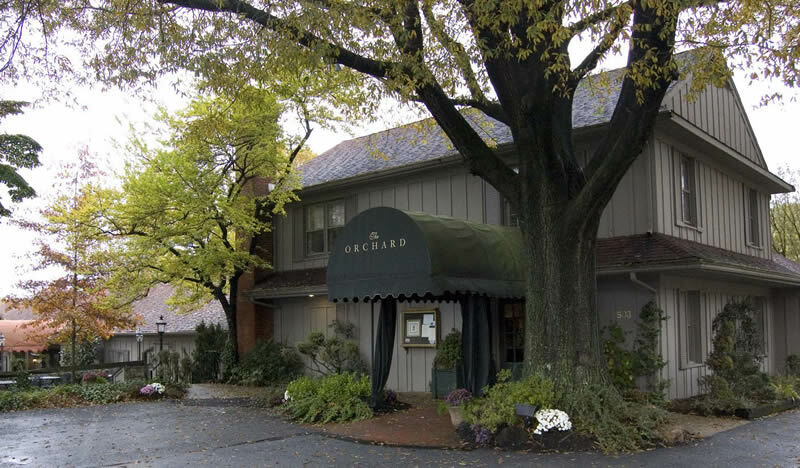 If you are ever in our area…you should not miss dining at The Orchard. I am making a reservation for two for this Friday night!!! We've lived in a lot of different places too, and have discovered that each one has its own charms. What a wonderful dining experience. I took a look at the menu and “to die for” is quite appropriate. I was drooling over the photos. Yes…it is a wonderful place…wish you could come!!! My parents live near an inn that is like this. My husband and I love to visit there and have spent several anniversaries enjoying a wonderful meal.